Are there bath houses or public shower facilities in the area of the Colonial Beach ? Katrina's Reply: Yes, there are restrooms on the Boardwalk near the Police sub-station, and further down near "the Cannon"
I am 36 years old and visited Colonial Beach with my two daughters and two nieces this weekend for the first time. We all had a great time and enjoyed the small town atmosphere which was very similiar to our own small town. Our only disappointment was in the fact that the bathrooms and beach areas were not very well kept. Katrina's Reply: Jennifer, I'm glad you and your kids and their cousins had a fun time in Colonial Beach. I too love the small-town feel of this place. The secret's definitely out, and with the volume of folks visiting, keeping the beach looking its best can sometimes be a challenge. Are there any public beaches where you can change your clothes? Katrina's Reply: There are restroom buildings at the public beach in Colonial Beach where you can change your clothes. Plan to Swim & Sunbathe - Any Shower Facilities? 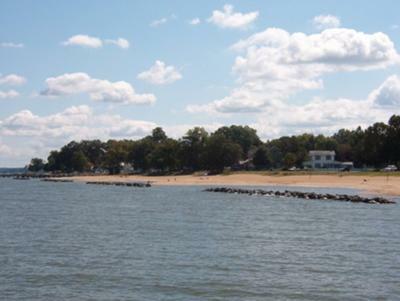 I've heard so many good things about Colonial Beach, and my family and I are planning to visit soon. We were just wondering if there are any public restrooms or shower facilities for public use? (or one of those water-spraying kind that is usually found at most big beaches). As a matter of fact, there are public restrooms and an outdoor shower in the building next to The Beach Shop on the boardwalk. Also, I think they have a station at the main pier where you can clean up and hose the sand off of you. Enjoy your time here in Colonial Beach! My family and I are planning to visit Colonial Beach for the day. Are there any fees for admission or parking to play at the beach? Katrina's Reply: Admission fees depend on the type of event taking place. Most are free of charge. There is free parking available on some of the streets. There is metered parking along the beach at Irving Ave. and there is paid parking in the lot on Wilder Ave. You could also park outside of town and take the Trolley in. See the Trolley page for route information. I was wondering where the public beaches are in Colonial Beach? I don't see any on the map but I know they exist. We are so excited to make our very first visit to Colonial Beach this weekend! Katrina's Reply: Hi Leah! The beaches stretch from the Riverboat (301 Beach Terrace) almost all the way down to Castlewood Park on "The Point" near the Yacht Club. Enjoy your visit to our town! We're thinking about coming to the beach next weekend. Are the jelly fish already out? Wind surfing in Colonial Beach? 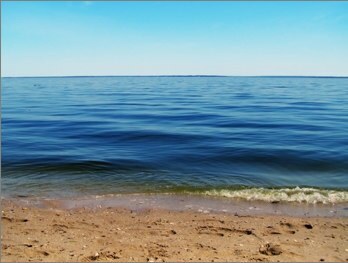 I have read many reviews that Colonial Beach is very quaint, isolated and peaceful but that the beach water is disgusting and not fit for swimming. I have recently booked a cottage for the summer and would like to know if this is true and if it is, are there other options such as public swimming pools etc...? Thank you! Katrina's Reply: Robin, you might find these links useful. When I was younger, there were nets to keep the jelly fish out of the swimming area at the public beach. Are there jelly fish nets there? Are the Jelly fish bad at Colonial Beach this year? Katrina's Reply: I heard reports that they were plentiful on August 19th (last week) but I have not heard any reports since then. I was out all day on the water Saturday (the 24th) and did not see any in Mattox Creek. Is there a public restroom on beach? Katrina's Reply: Yes, there are two. One on Irving Ave. near the metered parking spaces (by "The Cannon") and another restroom building is on the Boardwalk near the swingset. It's the building with the mural on the side of it. I have not seen any swans recently. Are they around?